NIA-CHARLESTOWN NEVIS (September 29, 2011) — Farmers in Nevis and the rest of the Region are the most important stakeholders in the quest to attain food and nutrition security but pose the greatest risk in the abuse of pesticides. That was an argument put forward by Permanent Secretary in the Ministry of Agriculture on Nevis Dr. Kelvin Daly, when he delivered remarks at a Pesticide Usage, Equipment Calibration and Personal Protection Equipment on Wednesday September 28, 2011. The workshop Llewelyn Newton Disaster Management Office’s conference room was hosted by the TDC Ltd. Group of Companies, in collaboration with the Inter-American Cooperation on Agriculture, Caribbean Chemicals and the Ministry of Agriculture in Nevis, was held under the theme “Save Lives! – Read and Understand Pesticide Labels”. 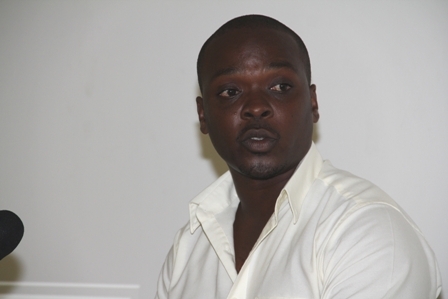 It was attended by stakeholders in both the agricultural and private sectors on Nevis. Dr. Daly noted that the challenge of food and nutrition security was a cross cutting issue with profound linkages to many different institutions both in the public and private sectors. “Inextricably linked are agriculture, Health and wellness, education, tourism, ecosystems and environmental viability. It is critical therefore, that any approach in tackling the issue of food and nutrition security be systematic, inclusive and thorough. “There are those who believe that pesticide is the best and only approach. There are those who believe in more eco friendly pesticides which are easier on the environment and less toxic to man. Then there are those who believe in the nuclear equivalent of pesticides, which kills in seconds, the good the bad and the indifferent and has far reaching consequences in all aspects of our lives. Hence the importance of the Pesticide Board,” he said. 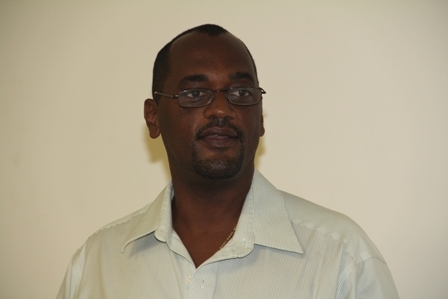 According to Dr. Daly, the work of the Board based in St. Kitts of which the Director of Agriculture on Nevis is a member, has great and significant relevance especially in these times when national agendas were promoting enhanced production and farmers were struggling to remain productive and competitive. “I hope that one day the Pesticide Board will have the capacity to conduct spot checks on farms and institutions and be granted the authority to issue and retract pesticide handling licences to all and sundry. “These are dark and perilous times and we can’t afford to win the war on pests while losing our health and our environment,” he said. In conclusion, Dr. Daly applauded all who were in attendance at the workshop to share and partake in what he referred to was a critical exchange of knowledge. Meantime, Acting Director of Agriculture Mr. Randy Elliott said the theme selected for the workshop was deliberate for several reasons some of which had resulted in persons becoming ill as a result. 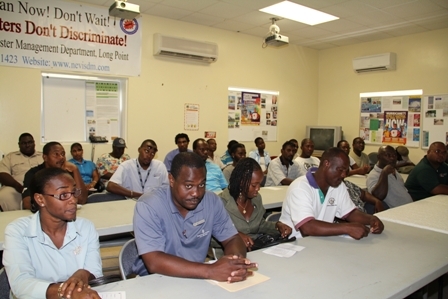 “Today at the workshop we are focusing on three major areas – pesticide usage, which you will be able to find on the labels; equipment calibration for which we are very fortunate to have the Bureau of Standards St. Kitts here to deal with that topic and Personal Protective Equipment which again is very critical to us in terms of pesticides application. 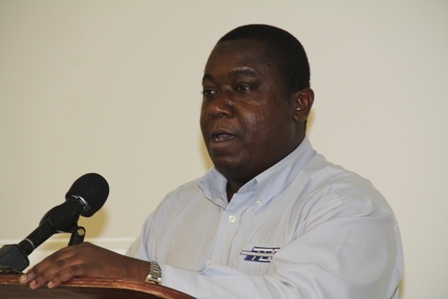 “We brought on board the Ministry of Health to deal with this because with the theme of saving lives we here in Nevis ad St. Kitts realise that there are quite a few persons who are now becoming sick because of improper usage, improper equipment, not properly calibrated equipment and lack of Personal Protective Equipment,” he said. Notwithstanding, he said though they were unable to invite the entire cadre of farmers on Nevis to the workshop, he was hopeful those present would share the new knowledge they received to their colleagues. TDC Group of Companies Representative Mr. Chandrai Bishop in his remarks said his company was pleased to be a sponsor of the workshop. He said the gesture was in keeping with their mission statement which speaks to the Company’s dedication to community development. According to Mr. Bishop, the lack of education regarding the improper use of pesticides was of critical concern to TDC and everyone involved, including the farmers had a responsibility to educate themselves about the proper methods of pesticide usage. “Many a sales person can tell you that they usually have to be the experts but many of them are not into farming still they have to be experts. We are not saying that this is not our responsibility as sales people but we have to realise that in a dynamic business, things change very fast. “You might have a knowledgeable sales person today and tomorrow you may have a fresh face. That is why it is critical that the farmers educate themselves in learning how to use the product for their own safety and to get the most for their money. Pesticide usage and reading the labels is very important so each of us here has a responsibility to see where we are lacking in that area and how we can adjust so that we can become better educated about the products that we use on a regular basis,” he said.